My last post focused on one aspect of winter...the moody, somber, introspective side of the season. I had only to wait for the sun to peek out from behind the clouds, however, to reveal the flip-side. 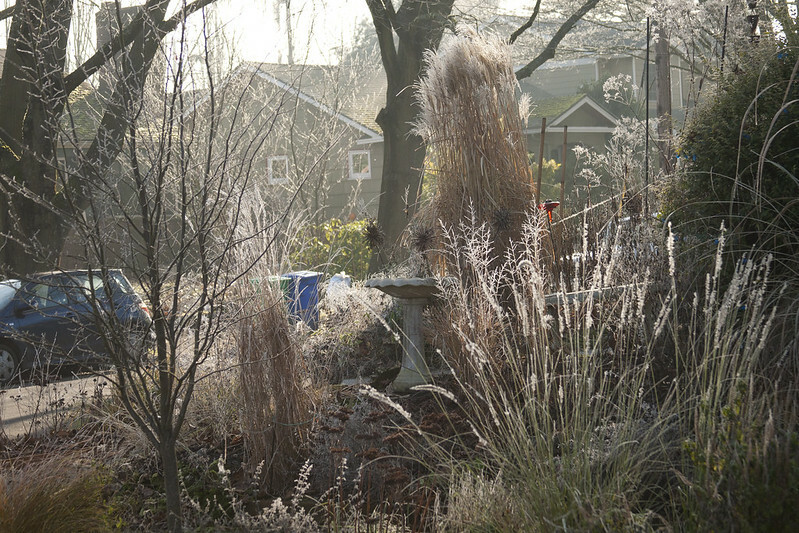 The bright winter sun transformed the frosty garden in an instant...suddenly I was surrounded by glowing beacons of light. 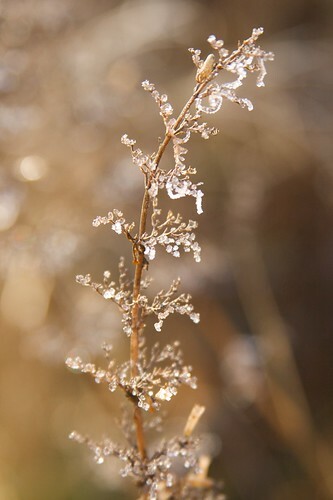 How utterly delightful...to have each bit of frost capturing and reflecting the sun. 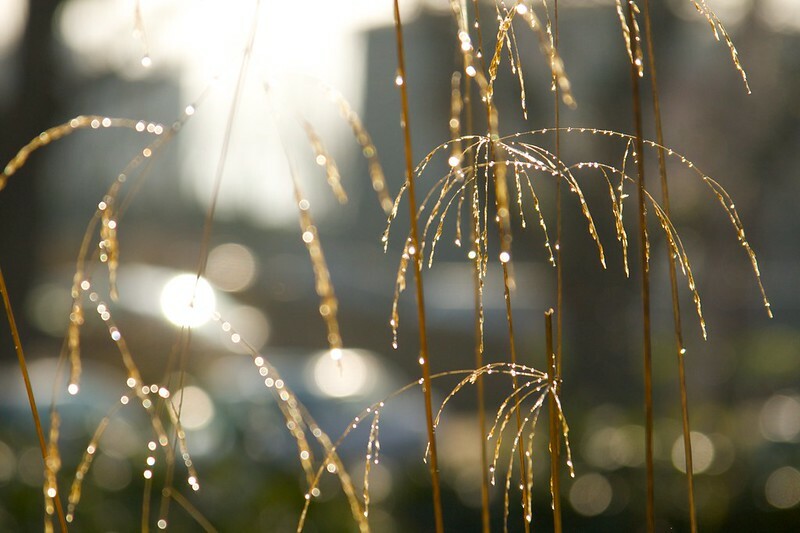 Calamagrostis, which had earlier seemed almost menacing was now giddily gleaming. 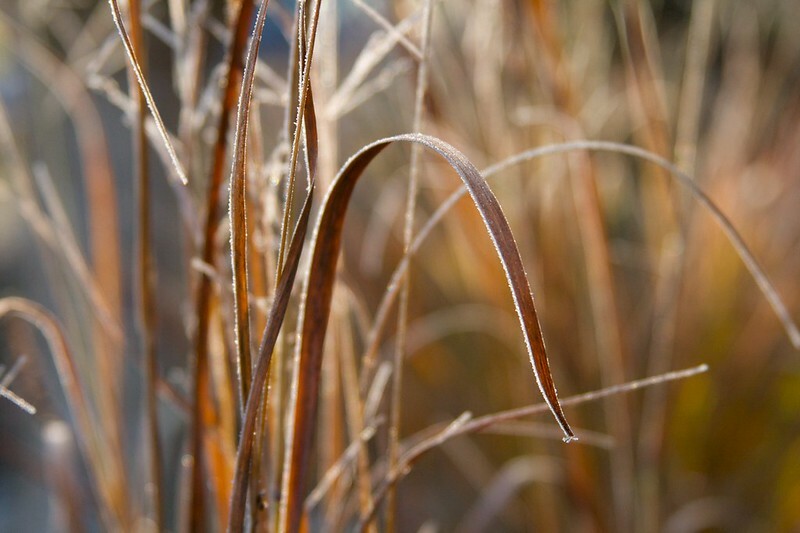 Beneath its icy veneer, the leaves of Panicum 'Northwind glowed like blades of amber. 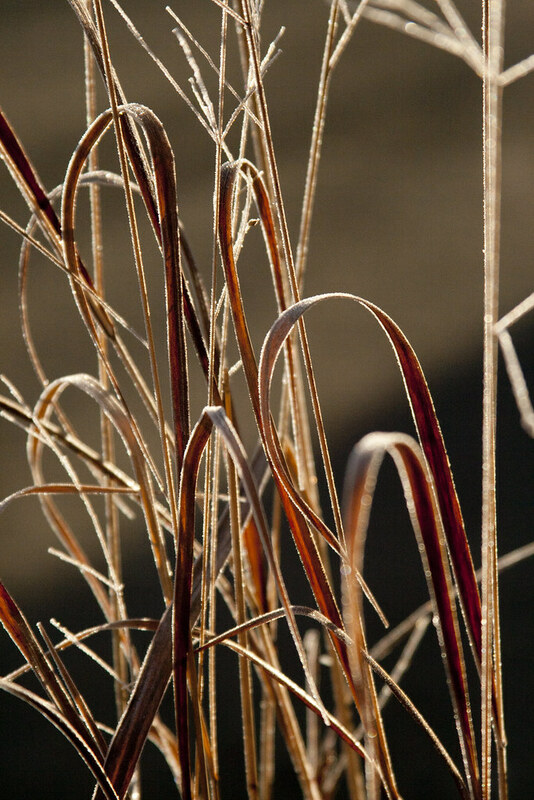 Panicum 'Huron Solstice' burned with shots of crimson, edged in diamond filigree. 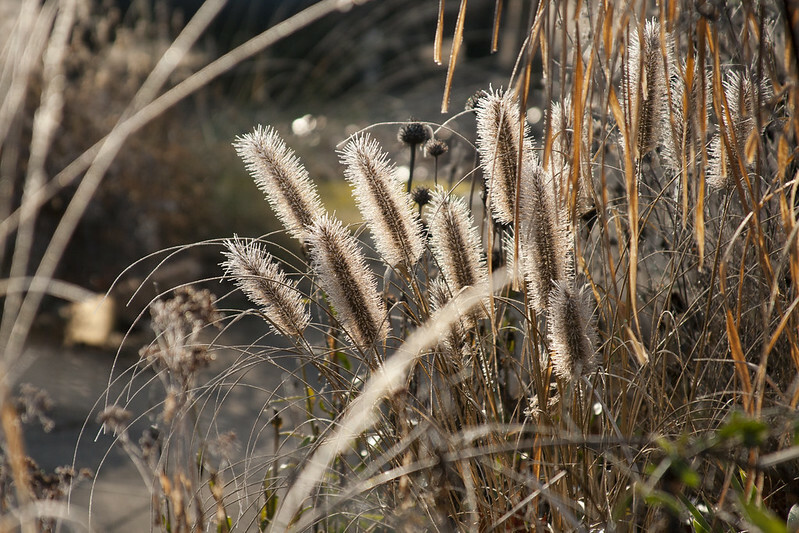 Pennisetum 'Desert Plains' has never looked more becoming. 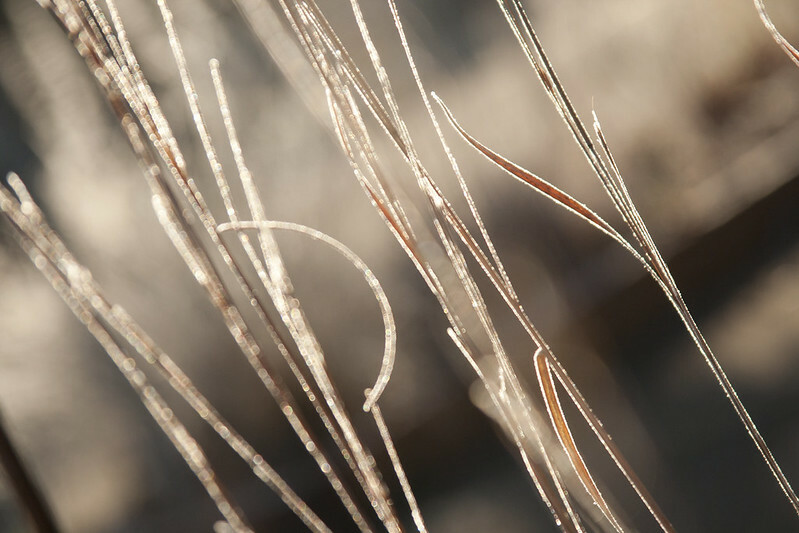 The light caught in the grasses at this moment...almost blindingly so. 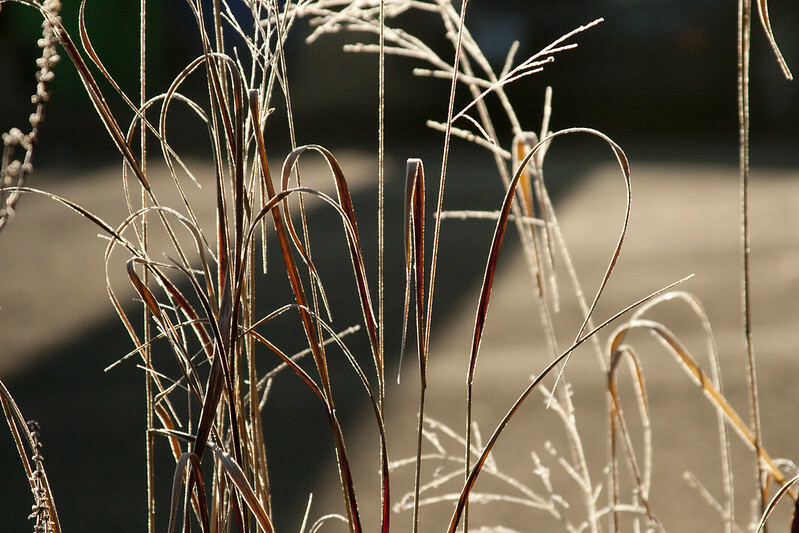 I love how the frosted edges enhance the elegantly recurving blades of Panicum 'Huron Solstice' here. 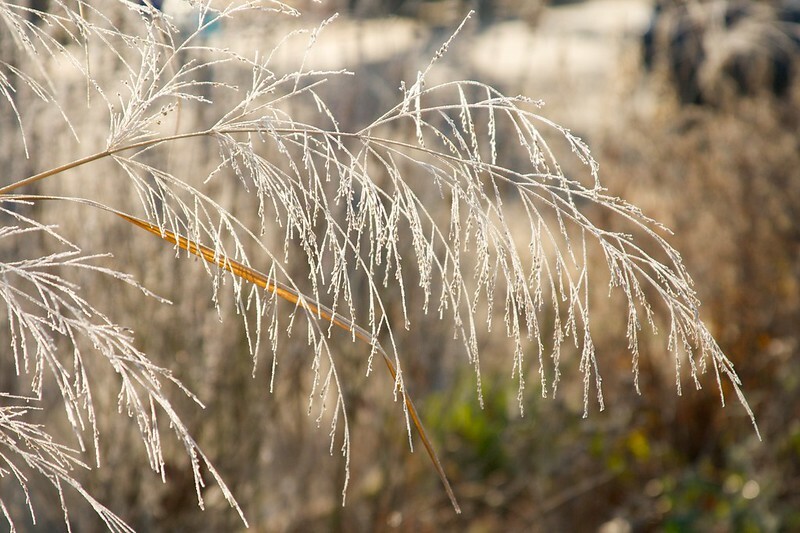 Deschampsia are never more magical than when they are lit from behind...especially when covered in rain or frost. 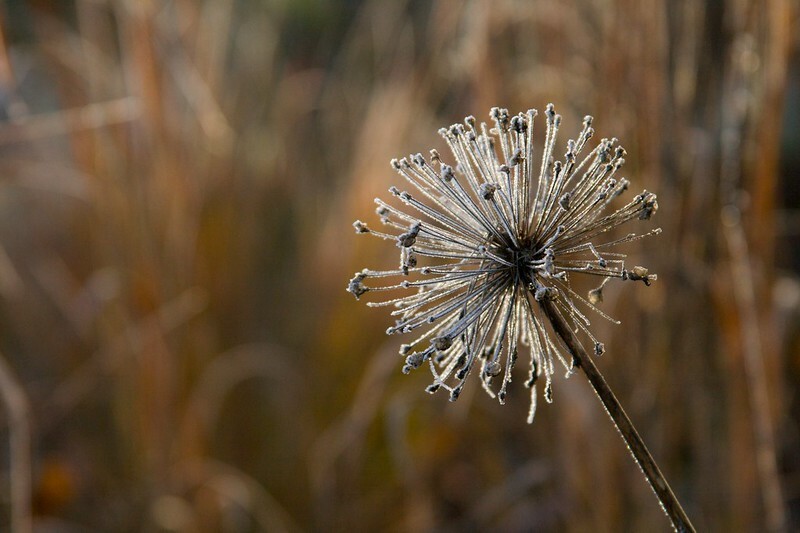 I'm always amazed at how long Allium blooms contribute something valuable to my garden...even in the dead of winter. Schizachyrium 'Blue Heaven' has bleached to a pinky-beige by this point in the winter...but whenever they are dry for a day or so, they fluff right up and delight with their seed heads. Plus, all it takes is a little light to ignite their foliage once again. I'm not sure what it is about them...but the shapes of the leaves on 'Blue Heaven' fascinate me to no end. 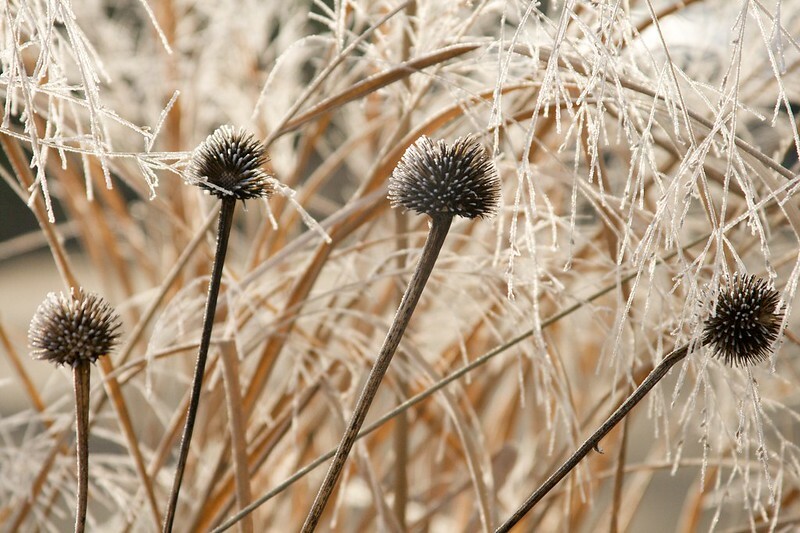 The once-somber seed heads of Echinacea look resplendent in their shimmery veil of Panicum, don't they? Of course, I wasn't the only one who was enjoying the morning...although Boots seemed more impressed by the sun that the frost. Another Panicum (can you tell I love Panicums yet?) 'Blood Brothers'showing off it's graceful winter foliage. I love how this one and 'Huron Solstice' maintain their red-tinted foliage all winter. 'Shenandoah' turns blond after the first freezes, but these other two seque into muted maroon, umber and burdundy. Sadly, I'll soon be cutting all these grasses back...perhaps even starting this weekend if I'm so inclined. They've provided interest in the garden all winter...but it's almost time for them to be cleared away for the growth of spring. Here's the Northeast corner of our property...which goes several months during winter without seeing much sun at all. At this moment, however, that seemed to change. Our days are getting longer and longer...and this particular morning seemed a watershed for the season. One last gift from winter before we move on to spring. As funny as it sounds to many, February is the gateway month here in the PNW. True, we can still have frosts for the next month or two (perhaps even snow), but Spring is fast approaching. Many plants are already waking up...and I'm glad to turn my face to the sun and start dreaming of spring now. You really got some great shots. The frost and ice make the greatest shots but yours really capture it so well. Thanks, Cher...I was very lucky to catch it when I did! Scott, I always wait till the last to cut down the grasses, but I can already see new growth coming up, so I think this week end for some...after the YGS. Me too, Linda...I was planning on cutting a few things down today...hard to believe it's happening so early this year. You have captured a magical moment in time that transforms plants into filigrees of glass-art. Love your photos. Thanks, Lorraine...you're so right...it really does transform the garden! Gorgeous, as always. I just cut back my Deschampsia, which were looking really ragged, but I'm still holding off on the grasses in front. I can't wait for spring! I'm the same way...I cut back things in the back yard...but an waiting a little longer for the stuff out front. Beautiful photos again; you really seem to be having the most beautiful frosts at the moment... We're due some more snow on Sunday, perhaps it'll also have nice frosts too so I can get similar frost covered plant shots (doubtful though). I love your blog and photos, they are really wonderfull ! 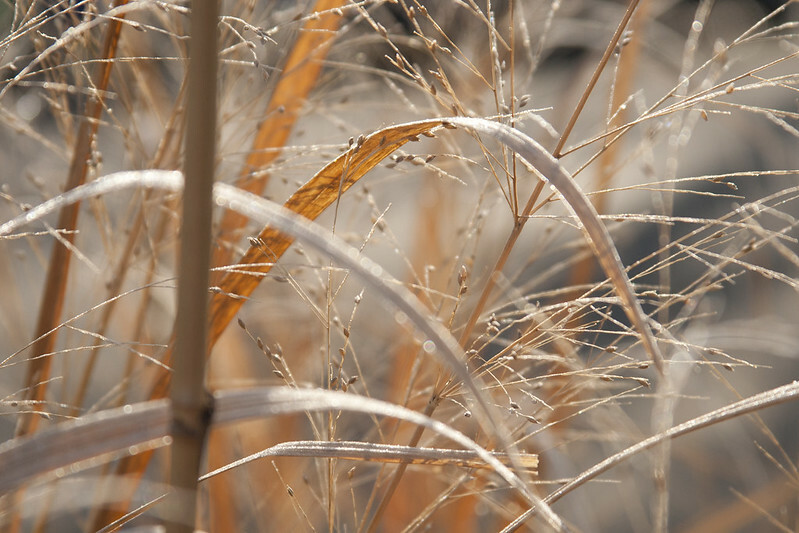 The grasses are breathtaking, especially the switchgrass. You're a very gifted photographer. Thanks, Jason! 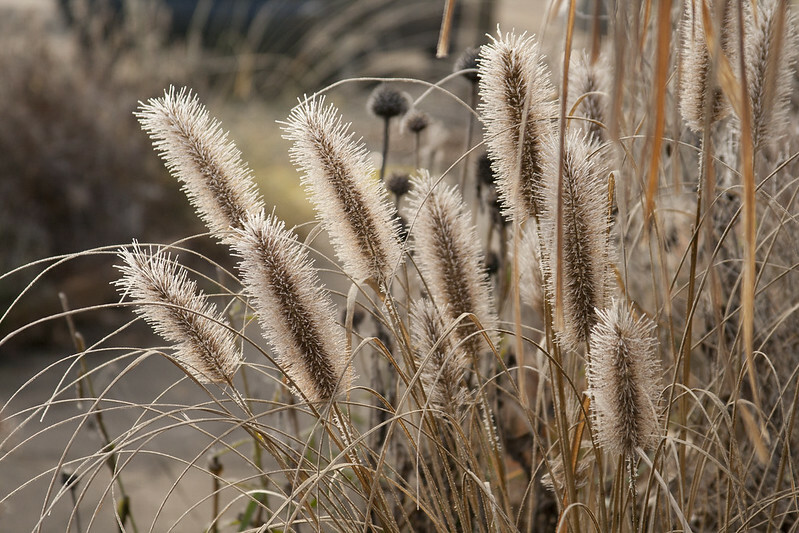 I'm a huge fan of Switchgrasses...I think I love them more each year. 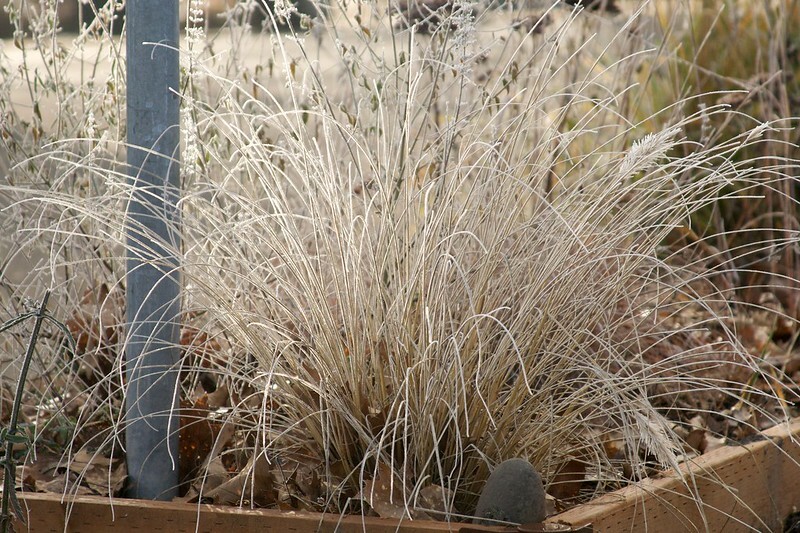 A Panicum that stays red through the winter? Yahoo! 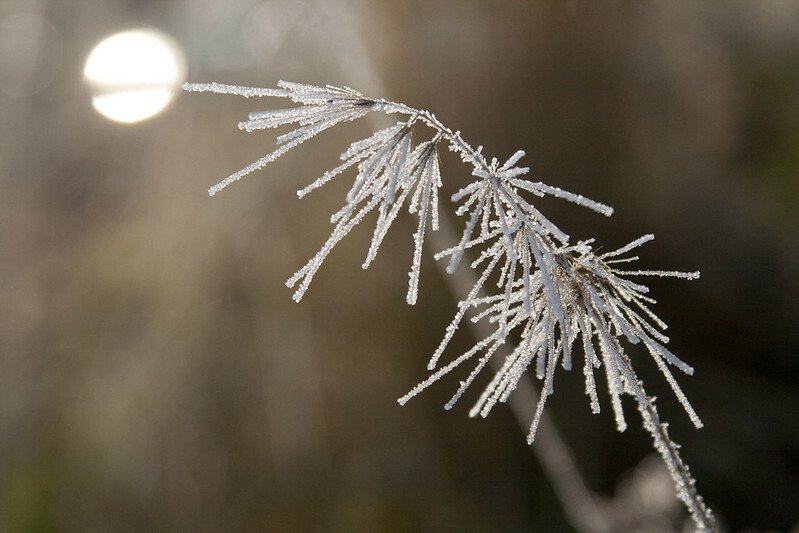 I'm looking for a source right now... Beautiful, frosty photos! 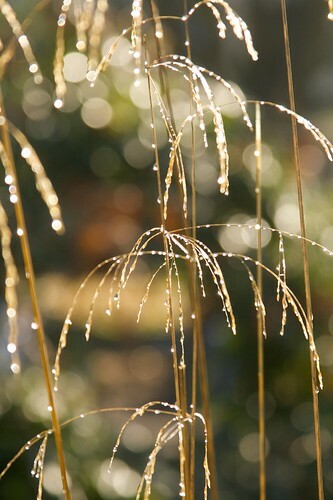 I just need a super-upright Panicum and I'll be happy. Huron Solstice stayed fairly red right up until a few weeks ago...it's sort of a rusty color now...love it! Good heavens Scott, you just keep topping yourself in the beautiful picture department. The sun on Boots' fir, and everything else for that matter, is absolutely beautiful. Gardening was certainly missing a key element before the advent of digital photography. Beautiful pictures! 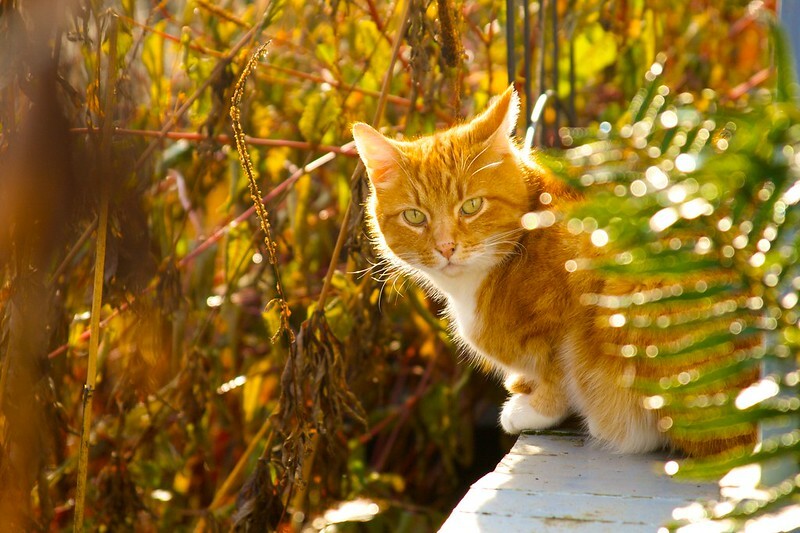 You capture the garden so well! Haha...I know, what did we do before...blogs would have been impossible! A visually eloquent argument for not cutting grasses back till thelast visible dog, er, as long as possible. Beautiful shots, as always, Scott! With pictures like these I can certainly understand your love affair with grasses. The ice adds to the magic. It really does...it's a nice "last hurrah" for winter! Scott, how can I get in touch with you? I'd like to ask about contributing to an upcoming post, but I can't find how to contact you anywhere on this site! Am I totally blind? I emailed you just this morning! Scott-your photographs are beautiful! We are buried under 19.8 inches of snow with drifts to 3 feet here on the Island. I am passing the time trying out my new Nikon P510 by poking out the window...not an easy task. What kind of camera are you using? 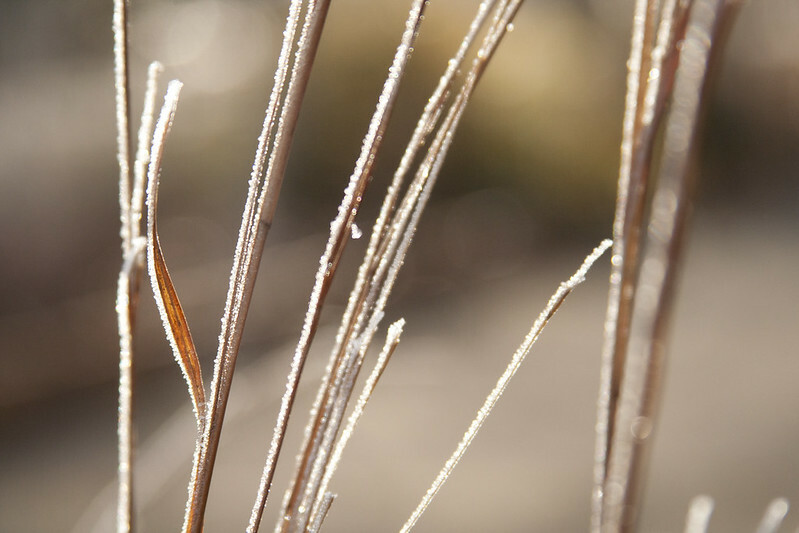 The close-ups of the ice on the grasses and the photo of Boots are amazing. I need to get out there and cut back my Hakonechloa, it's actually starting to just fall apart which makes clean up a lot more work. Come to think of it cutting back grasses is one of my least favorite garden chores. I can see why Boots would want to be out with you on such a beautiful morning--frost or not! Magical day and magical shots! until now. Very much meals regarding idea. A few inciteful concepts plus points of views all over. the post I would end up being ignorant for a understanding. Looks like the perfect setting for a ballet...Les Sylphides, perhaps? 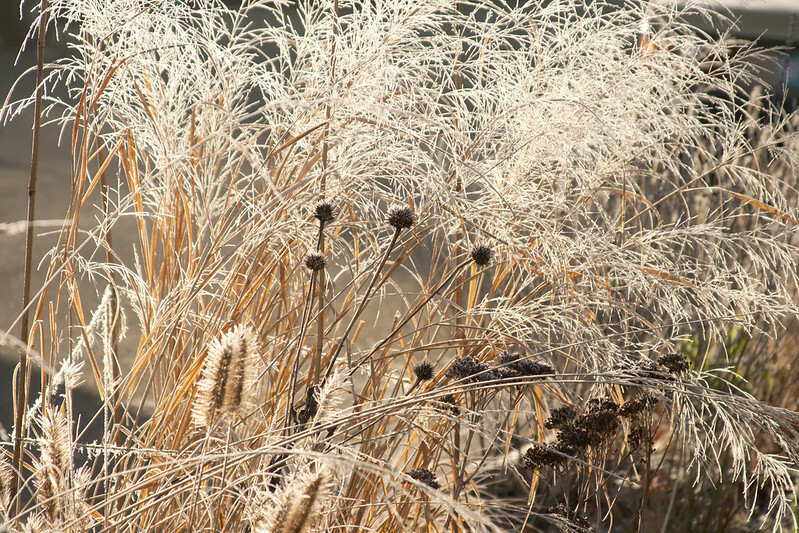 Your frosted grasses would give the tutus some stiff competition. Superb photos - absolutely beautiful. 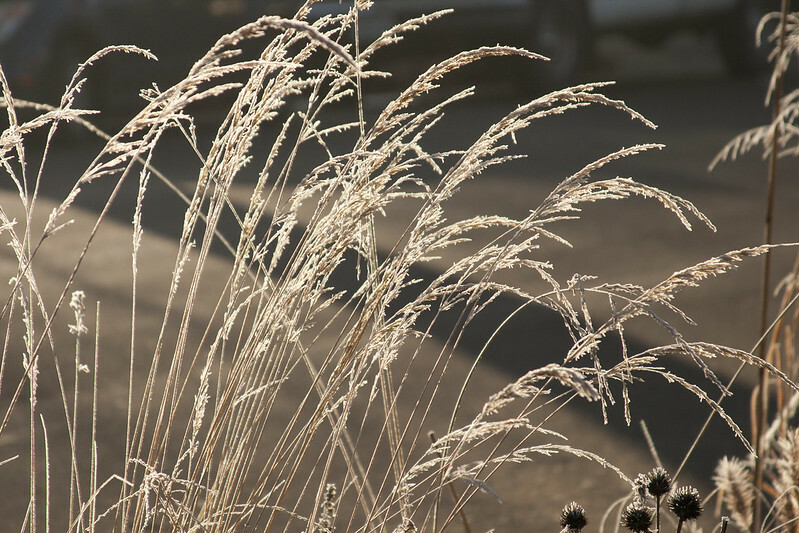 I sometimes think that grasses are better value in the winter than in the summer. My Stipa gigantea, the Giant Oat Grass has looked wonderful all this season although, as you say, it is time to cut it back ready for the new growth to push through.